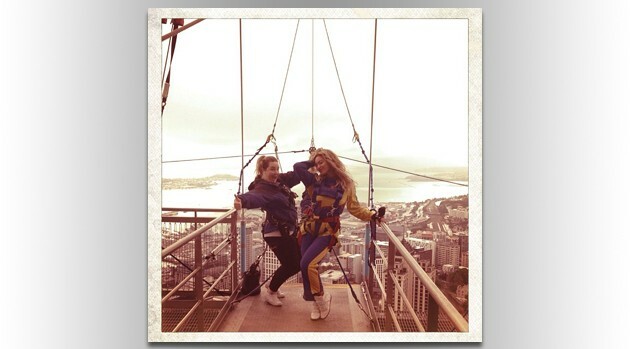 Image courtesy Beyonce via InstagramBeyonce took a leap of faith in New Zealand over the weekend. She bungee-jumped not once, but twice off Auckland’s famous Sky Tower on Saturday morning, according to The New Zealand Herald. The Sky Tower is over a thousand feet tall and is the tallest free-standing structure in the Southern Hemisphere. Beyonce, who performed four concerts in Auckland, has posted on Instagram a couple of pictures of herself strapped to a bungee cord at the Sky Tower. She will spend the next two-plus weeks touring Australia.